Check out this service in Wildwood, NJ. Good lord that's ALOT of cables! and 31 meters in there! Edit: OOPS... that's main to the left ... all those cables are on the 'load' side ..... what a mess! Last edited by renosteinke; 08/07/07 11:19 PM. I think the correct title for this post is 'Spaghetti Factory." 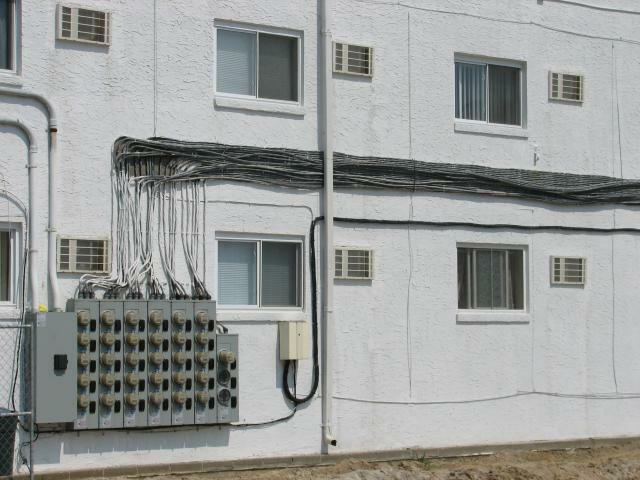 that has to be the most hideous code-compliant installation I have ever seen!!! 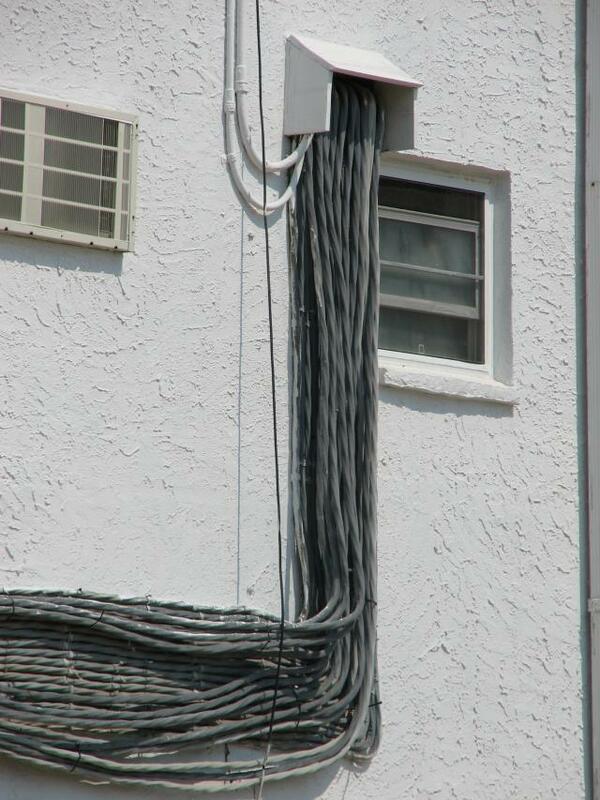 It looks like the original install was about a dozen meters, then someone decided to double the number of units. The bottom layer of cables look nice and secure, and then the second layer was ty rapped on top of the original install. 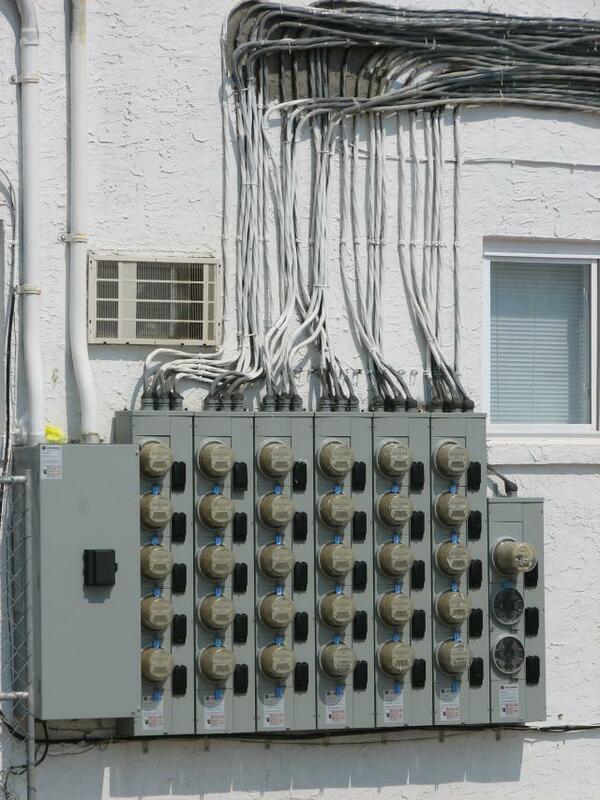 Good lord, another reason against centralised metering! I can't believe anybody, no matter how inexperienced could walk away from that job and consider it to be done properly. That is really, really bad. 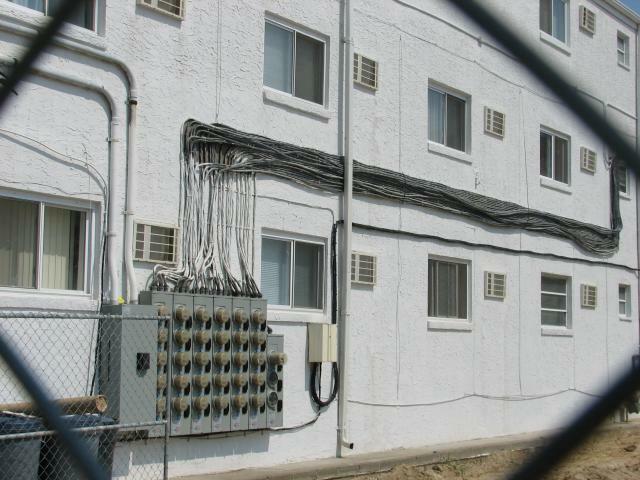 A large number of motels in the Wildwood area are being converted to condominiums, which may explain the "reason" for this install. NO, that is no excuse for the sorry looking install.